In 2004, Sharp released its Superheated Steam Oven "Healsio" which focused on health effects such as reduction of oil and salt. 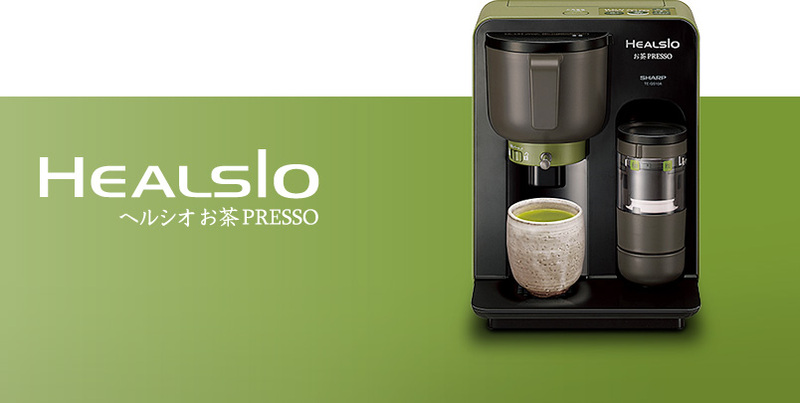 In 2012, the "Healsio" brand evolved as a series introducing health-conscious products, "Helasio Rice Cooker" and "Healsio juicepresso" (juicer). Meanwhile, from 2012, Sharp took on the challenge of developing a new product focusing on tea, and derived from the simple question, "Why are there so many appliances for coffee, but none for green tea?" Later, through research, it was revealed that tea brewed from a teapot results in approximately 70% loss of the tea leaves' nutrients. As we seek to realize a better healthy life through health-conscious food preparation alliances, the concept of developing a new product that will not waste the nutrients of tea leaves naturally led to the development of this new product offering a new tea custom. "Healsio Ocha-Presso" is a product that grinds tea leaves to powder while keeping the original nutrients. Referring to the traditional stone mill style used to create powdered tea, a ceramic mill is adopted in this product. Careful research of tea leaves and equipment tests finally formed the optimum shape and rotating speed of this mill. The grinding speed of the mill cannot be too fast, as nutrients will be ruined from friction heat. The fine grated tea leaves are a result of such research, realizing health and good taste at the same time. Tea stirrers used in tea ceremonies were also studied as an example to develop the rotating wing in a product that stirs tea power with hot water. This enables of the fine foaming of the tea. "Healsio Ocha-Presso" realizes the art of grinding, boiling and serving that has been brought down to us through the tradition of tea ceremonies. By accomplishing the challenge of health and taste, this product serves smooth tea with rich aroma and contains most of the original nutrients of tea leaves. Indeed there was opposition to developing this new product at first. Will the taste of the tea be satisfactory? Will customers accept the concept of an appliance just for tea? In the end, the strong will to develop a whole new appliance that will change the way people live supported the passion for development. This attitude eventually spread among all members, and created a harmony where everyone acted proactively to meet the challenge. 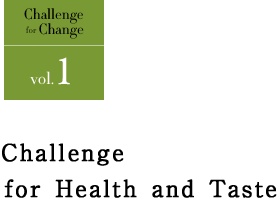 Everyone was driven to face new challenges - including new forms of promotions and presentations. Thanks to such efforts, ever since its introduction in the Japanese market in April 2014, the product has been well accepted by many of our customers. Sharp is a company with a Business Creed that states, "Courage is the basis of of a rewarding life... accept every challenge with a positive attitude."